Conner Toolson and No. 13 seed Salt Lake Community College earned the second NJCAA Division I Men’s Basketball Championship in school history with a 74-64 victory over No. 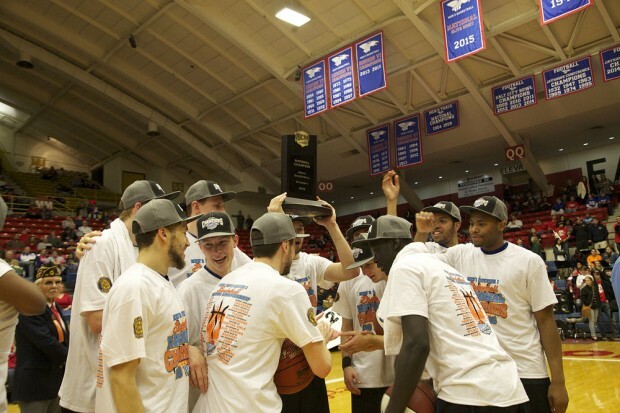 7 seed Hutchinson Community College. Toolson, who was named the Most Valuable Player of the tournament, scored 28 points and Tyler Rawson posted a double double, with 16 points and 11 rebounds, to lead the Bruins to victory. The Bruins capped a remarkable postseason run that also included a Region 18 championship and a District 1 championship. 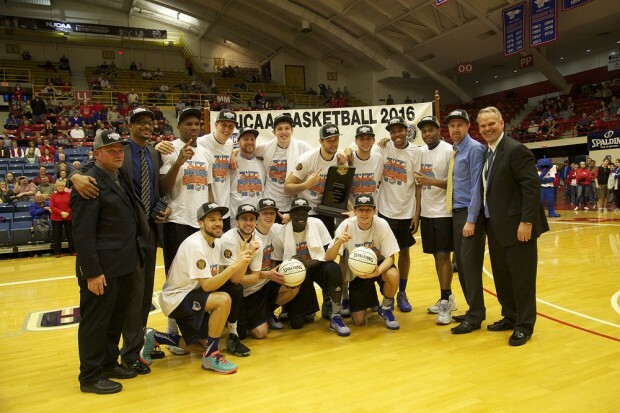 SLCC won all nine of their postseason games to earn their first championship since 2009. Despite playing in a hostile environment — the tournament is held at Hutchinson Sports Arena — the Bruins maintained their poise and kept the Blue Dragons in check. SLCC (31-8) set the tone early against Hutchinson (32-5), starting the game on an 8-0 run. Salt Lake eventually built a 36-20 lead with three minutes to play before Hutchinson went on a 7-0 run. 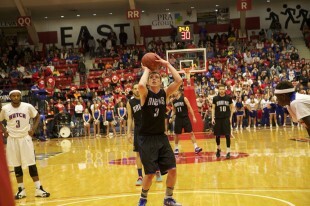 Toolson then scored on three consecutive layups to break the Dragons’ momentum. Conner Toolson scored 19 points on 8-of-12 shooting and Tyler Rawson had 10 points and six rebounds in the first half. Salt Lake shot 47 percent (16 of 34) from the field and held the Blue Dragons to 25 percent (9 for 36) shooting and 2 for 12 from three. Salt Lake maintained a double-digit lead through the early portion of the second half. Hutchinson cut the lead down to nine midway through the half before Toolson and Austin Waddoups hit two 3-pointers to extend the lead. The Blue Dragons shot 50 percent in the second half, pushing the tempo to close the deficit to four. SLCC held a 68-64 lead with three minutes remaining before scoring the last six points of the game. Although Salt Lake cooled off in the second half, shooting 32 percent (9 of 28) from the field, the Bruins made 9 of 26 3-pointers for the game, seven more than the Blue Dragons. Gibson Johnson had nine points and four rebounds, Tad Dufelmeier added six points and six assists and Marcus White gathered nine rebounds to round out the Bruin starting five. Bashir Ahmed scored 22 points for the Blue Dragons, including 10 for 10 from the free throw line. Samajae Haynes-Jones was the other Blue Dragon to reach double figures with 11 points. Hutchinson made just 2 of 22 3-point shots as a team. Toolson wasn’t the only one to win an award. 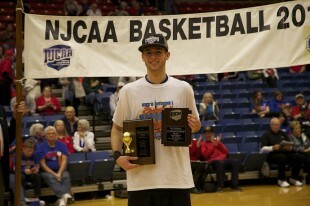 SLCC head coach Todd Phillips earned the Coach of the Tournament award. Dufelmeier and Rawson each received All-Tournament team honors and Dufelmeier also picked up the Sportsmanship award.